Nina Huang is a senior marketing specialist at Deloitte Digital where she has worked for over three years. She helps clients create and launch digital marketing campaigns to achieve their business goals and generate brand awareness. Prior to Deloitte Digital, Nina worked at a public utility, technology PR firm with Microsoft Research as a client and a management consulting firm. 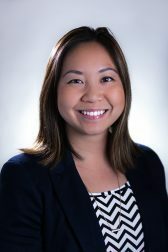 Nina was born and raised in Honolulu, HI and attended Taipei American School for eight years before graduating with a degree in journalism from the University of Washington. In addition to her day job, Nina serves on the board of trustees of Foundation for International Understanding Through Students (FIUTS) and volunteers regularly with the Emerging Leaders of United Way of King County. She also freelances for the Northwest Asian Weekly. Nina is passionate about education, diversity and inclusion, women empowerment, learning about new cultures through food and travel, and playing with puppies. Feel free to connect with Nina on LinkedIn.